The Jeep Scrambler — the long-awaited truck variant of the Jeep Wrangler — has been in development for a long, long time. We've seen spy shots of various prototypes for years now. Even with the camouflage, it's not difficult to tell what's hiding underneath. We have a new batch here, and while there isn't really anything new on the outside, these do give us a good look at the new Jeep's interior. 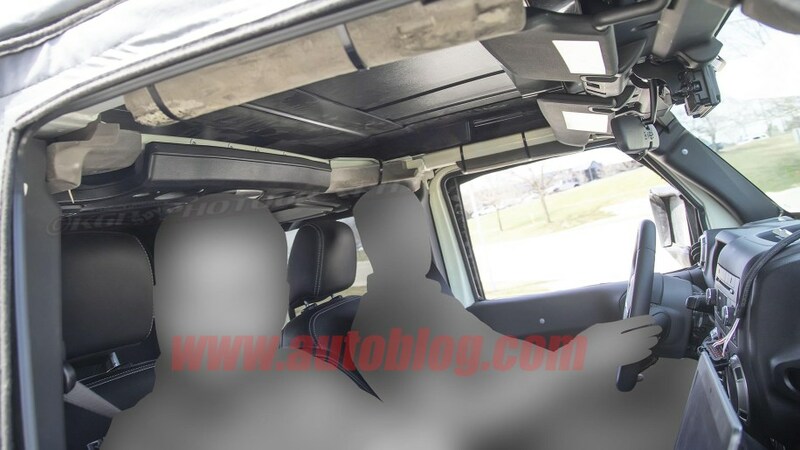 Good news: It looks like the Scrambler will get the Wrangler's removable roof panels. The roll bar, latch and removable panel are all quite obvious from the inside. Although we know the Scrambler is based on the Wrangler, it was unclear how much of the design would carry over. The rest of the interior is a little more odd. 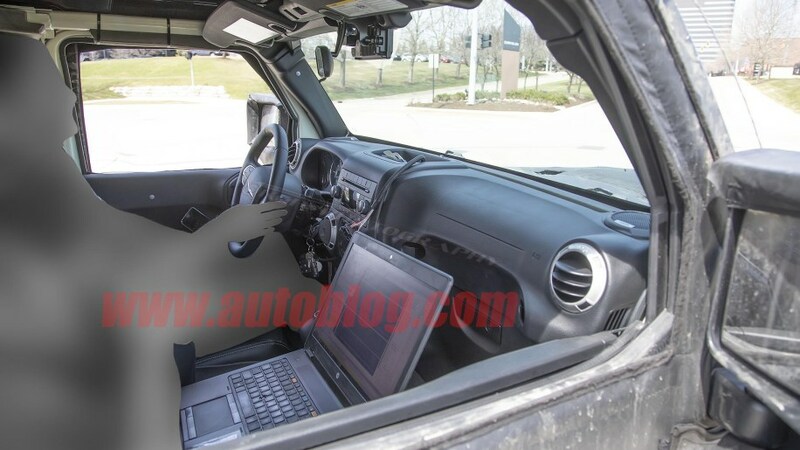 We fully expect the Scrambler to be based on the new 2018 Jeep Wrangler JL, but this prototype has the dashboard of the outgoing Wrangler JK. It also has a Chrysler steering wheel, so this may simply be either a parts-bin prototype or an older tester that hasn't been updated. We don't yet know when we'll see a full reveal, but it doesn't look like the Scrambler will hit dealer showrooms until April 2019. Until then, pore over some more spy photos and some great renderings of the new Jeep truck. 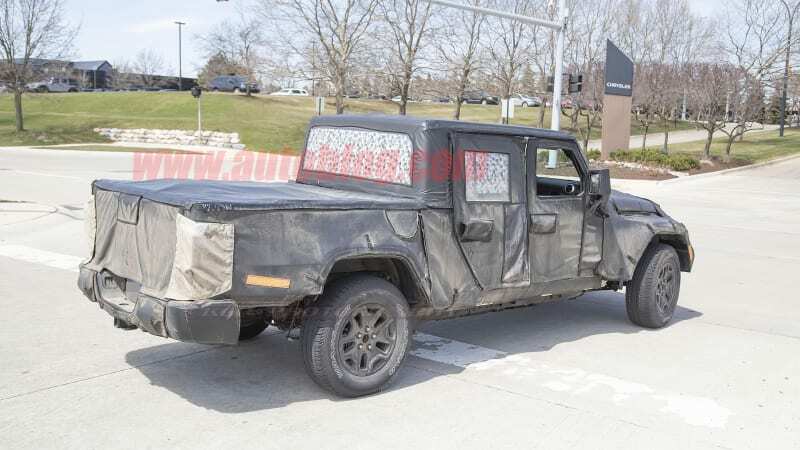 The fact it still has the JK interior would mean its probably an older prototype, meaning I wouldn't read too much into the roof panels being there...might simply be becasue thats what a JK has.